In the last article I wrote about using the PSoC 4 Watch Dog Counter as a deep sleep timer. It seems kind of obvious that I should probably mostly do PSoC 6 articles. 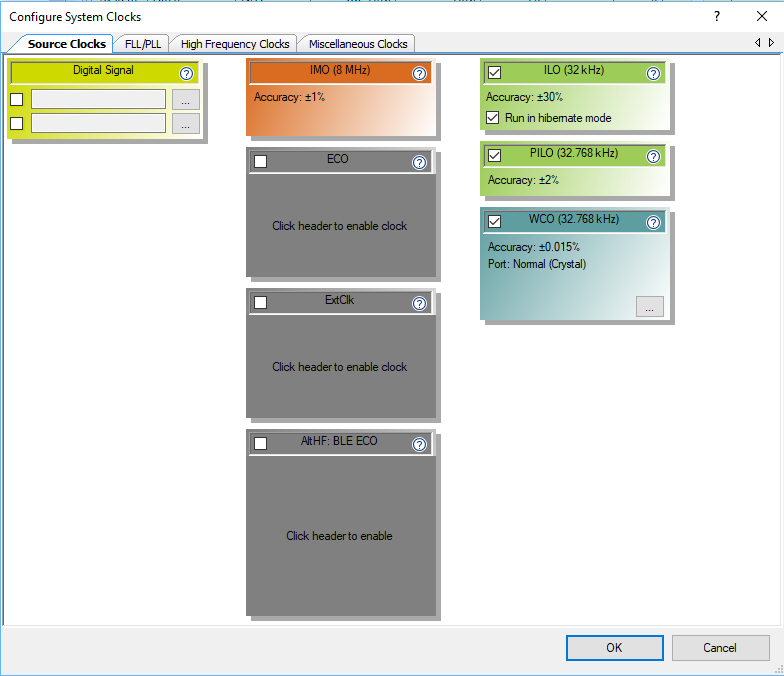 So, in this article, Ill show you how to use the PSoC 6 Low Power MCWDT as a deep sleep timer. 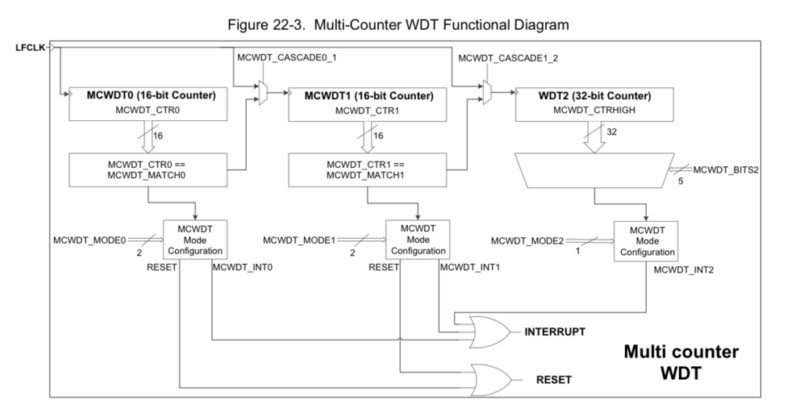 What is a “MCWDT?”, well, the MC stands for Multi-Counter. And as best I can tell, is exactly the same as the PSoC 4 WDT, except there are two of them in the PSoC 63 instead of the 1 in the PSoC 4. There is also a dedicated 16-bit WDT (which I will write about in a few days). The PSoC 6 Low Power MCWDT is almost exactly the same as the PSoC 4 WDT – except it is in 40nm instead of 130nm. It has 2x 16-bit counters and 1x 32-bit counter. The three counters can be cascaded to create long period timers. 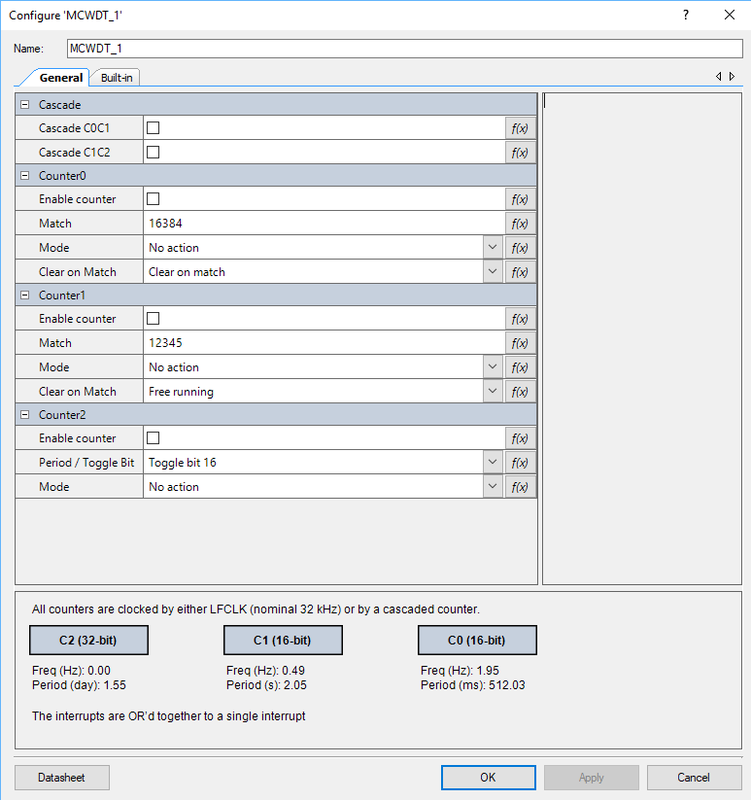 Each counter can be configured to clear on match, or free-run. Each counter can also be configured to cause a device reset if the interrupt is not processed. The MCWDT works in Active, Low Power Active, Sleep, Low Power Sleep and Deep Sleep power modes. The design intent is that one MCWDT would be “assigned” to each of the MCUs (i.e. the M4, M0+), but that is not required. The picture below is a snapshot from the PSoC 63 TRM and explains pretty well how one of the PSoC 6 Low Power MCWDT work. From the picture above you can see that the MCWDT uses the LFLK as the source clock for the counters. Fortunately or unfortunately there is an inconsistency in the PSoC 63 TRM and PSoC Creator. The PSoC Creator team decided to unify the names of all of the clocks by calling them all “Clk_*”. Which is inconsistent with the TRM which calls it “LFLK”. 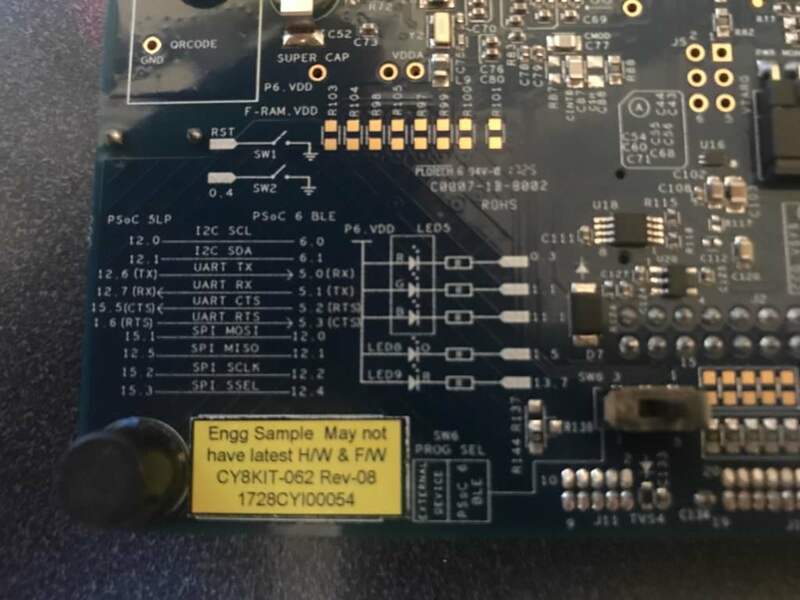 The LFCLK in the TRM is called the “Clk_LF” in the PSoC Creator GUIs and it is called “CLK_LF” or “ClkLf” in the firmware (confused yet?). If not then you should be as I was the first time I saw it. The Clk_LF can be driven by one of three source oscillators. The PILO, ILO or the WCO. Look at the upper left hand box where I have pulled down the selection menu. The Precision Internal Low Speed Oscillator (PILO) is a more accurate, trim-able RC? oscillator, and presumably higher power (though I don’t know how much). The Watch Crystal Oscillator (WCO) which is a very accurate crystal oscillator that gives you accurate timing at a higher power cost. 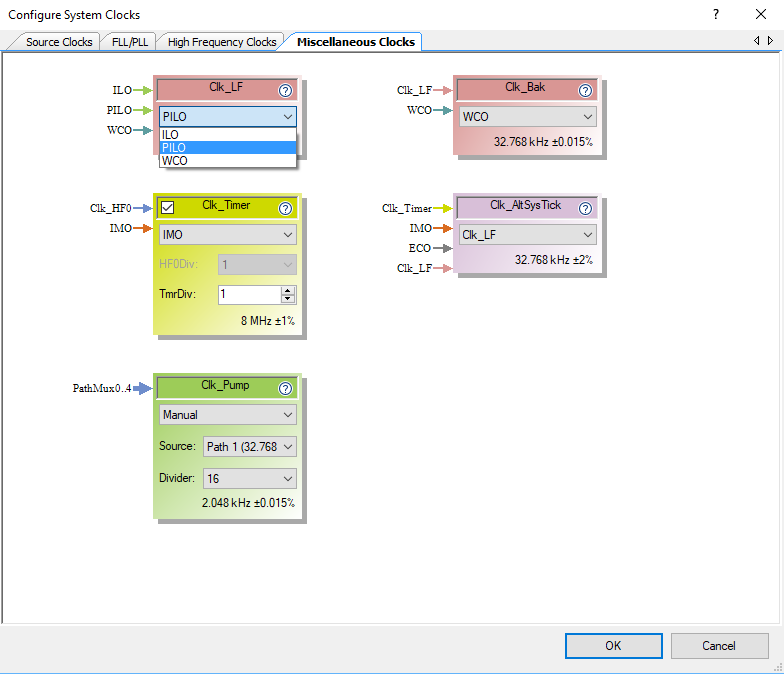 With the “Configure System Clocks” window in the DWR you can configure the behavior of the Clock Sources. Notice that I have turned on all three of the Clock sources (ILO, PILO and WCO) something which you probably wouldn’t actually do. You can also configure the Clk_LF sources in your firmware. In the firmware below, I check to see if the WCO is running. If it is, then I set it to be the source of the Clk_LF. If it is not running, then I try to start it. And, finally, I print out the current source of the Clk_LF. // Is the Watch Crystal Osc running? // What is the clock source of the ClkLf? To demonstrate the PSoC 6 Low Power MCWDT, I start by creating a schematic. It has the three color LEDs pins (RED, GREEN and BLUE), a UART to print out debugging information and finally the MCWDT connected to an interrupt. 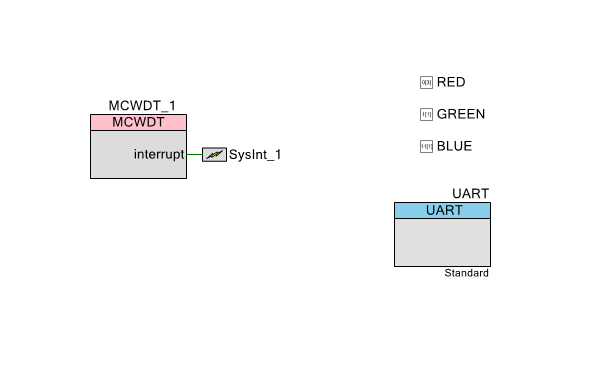 When you place an interrupt component in PSoC Creator (which I did in the above schematic), it will then appear in the DWR on the interrupt page. Here you can assign the interrupt to either of the MCU Cores, or I suppose both, though I think that is probably a horrible idea. * This file is automatically generated by PSoC Creator. 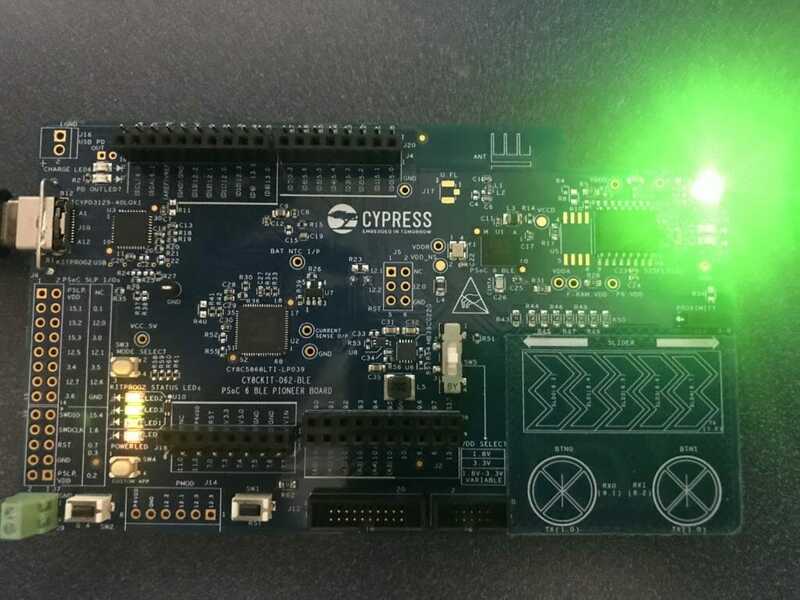 * Copyright (c) 2007-2017 Cypress Semiconductor. All rights reserved. To make all of this work, you simply need to install the interrupt handler by calling Cy_SysInt_Init in your main.c. The Interrupt Service Routine (ISR) for the MCWDT is pretty simple. It just reads the cause of the interrupt, which could be any one of the counters in the MCWDT (or more than one of them). Then it inverts either the Red, Green or Blue LED. And finally it clears the interrupt source inside of the MCWDT.